Joseph Allegra is Senior Associate Director for the Management Information Systems (MIS) department. Joseph is the key contact point for internal and external communications for more than 1200 students. 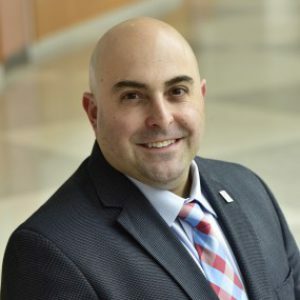 He is responsible for recruiting, mentoring, and placement of students which include the undergraduate BBA in MIS major, minor, PhD, and both Graduate Master’s programs; MS in IT Auditing & Cyber Security and the MS-Digital Innovation in Marketing. He has been instrumental in creating online strategies using web-based social media and digital marketing tools for recruiting.